Your first dental visit will be over an hour of undivided attention with the smile team. We understand it's important that you feel comfortable with your choice of dentist in Springfield. As with any new relationship, getting to know one another is the first step in determining whether or not our dental practice will be a good 'fit' for you. Please download and complete New Patient Registration and send back 48 hours prior to your visit. If you are a TMD patient please download and complete the symptoms chart 48 hours prior to your visit. 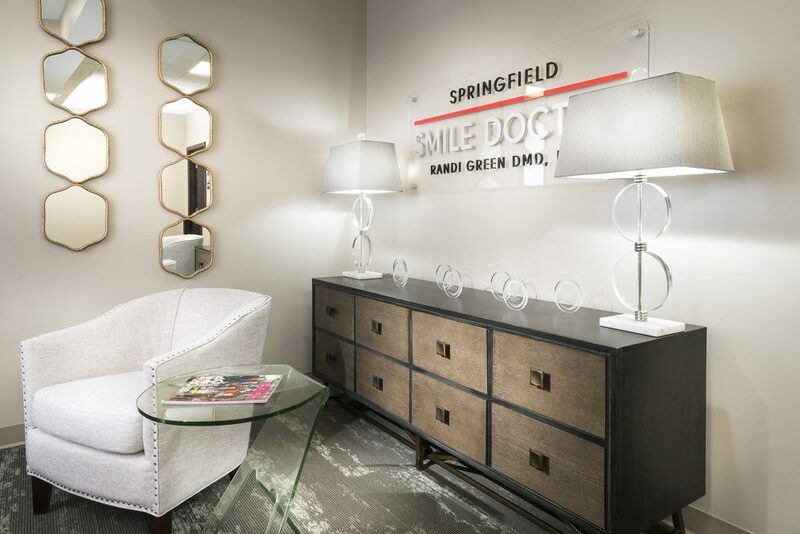 Springfield Smile Doctor, Randi Green DMD, LVIF has a living room, not a waiting room at our dental practice. When you walk through the front door of Dr. Green's dental practice you will notice the absence of a front desk. We greet all of our new guests face-to-face, not from behind a cluttered desk or glass wall. This feature of our dental practice eliminates distraction "at the front" and gives you privacy during any one-on-one time with your new patient coordinator. 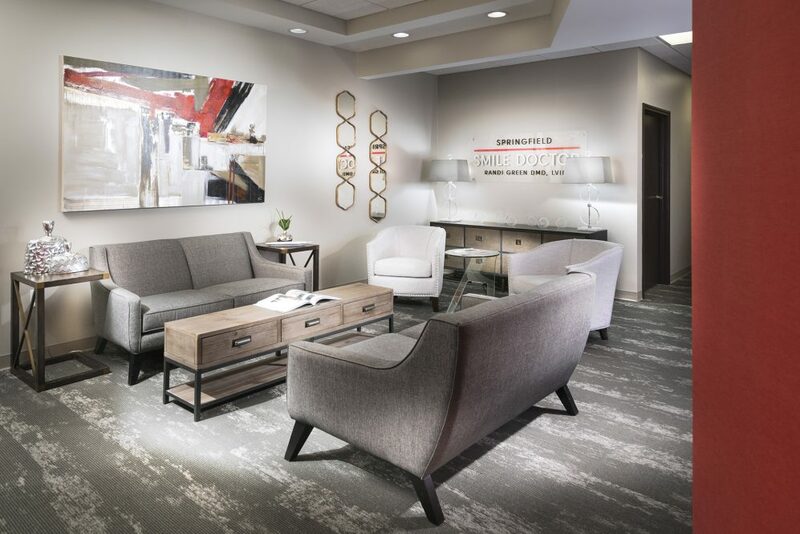 Your new patient dental experience will start in our consultation room where Rene or Daniel, our new patient coordinators will sit down and talk with you. It is very important for us to get to know you, hear about your past dental experiences, and most importantly learn what you want from your dental treatment. This begins the process for us to determine how we can help you meet your goals. We will then begin with your comprehensive dental exam which will include digital photos and digital x-rays, 3D x-ray and/or intra-oral high definition scans. Dr. Green will then complete 5 comprehensive oral health screenings so that she can get an accurate assessment of your current oral condition. We start with an overall assessment of your health history as well as any medications you may be taking. Dental problems such as periodontal disease can make other systemic conditions worse and vice versa, so we like to identify any underlying concerns ahead of time. Also, medications can change the environment of your mouth making you more susceptible to dental problems, so its important for us to know this as well. Our third screening assesses your jaw joints, teeth, and muscles to make sure they are all working in harmony together. When the teeth do not fit together in a position that coordinates with joint and muscle stability, all sorts of signs and symptoms can appear. Occulsal disease can include grinding of teeth, clenching teeth, tooth fractures, tooth sensitivity, jaw popping and jaw pain, migraine headaches are just a few of the TMJ/TMD issues for which we screen. Our fourth screening is one that you have come to expect from your dentist. We take a look at all of your teeth as well as any previous dental work you have had done. Our goal is to make sure there is no dental disease present and all of your existing dental work is still serving you well. Dental decay and broken down dentistry can often go unnoticed by a patient because teeth often do not hurt. In fact, pain in the teeth is usually a sign of advanced dental disease that could have been prevented if addressed early. We aim to help our patients avoid pain and address any problems as early as possible and keep their mouths healthy. Our final screening is one that you have hopefully had before. We consider it to be just as important as the cancer screening as periodontal disease has been linked to some cancers. This screening assesses your gum tissues and other supporting structures of the teeth to make sure there is no underlying disease. Periodontal disease is a silent disease, meaning that like high blood pressure, you will most likely have no symptoms and not even be aware of your condition. Studies show up to 80% of the adult population has some form of periodontal disease. Our goal is to identify the presence of periodontal disease in the early stages where we can address it through non-surgical laser therapy. If left untreated, periodontal disease can eventually lead to loss of some, if not all teeth. It also increases the severity of other health conditions such as diabetes and heart disease. Dr. Green and the team will review the photographs, x-rays, scans and other findings with you and address any concerns. After reviewing your forms, listening to what you want, and examining your mouth, problems and solutions will begin to present themselves as we look at your photographs together. You will then meet with our hygienist, Jyssica, for a jump-start cleaning and a plan of how to best take care of your teeth and gums. She will be your coach to help you maintain a healthy mouth. Read her blog about the importance of gum health and if Kissing Your partner with Bleeding Gums Spread Gum Disease or check out The Top 10 Things You Need to Know About Your Dental Hygienist. Your first visit with Dr. Randi Green will be over an hour of our undivided attention with our team. Whether the two of you decide to work together or not, you will leave your consultation with a clear understanding of what is going on in your mouth. Whole health dentistry, including your oral health and smile are paramount to your overall health.